The following audio is from an interview on The Money Show on Boston Herald Radio on April 21, 2015. Rich Rosa, co-founder and co-owner of Buyers Brokers Only, LLC, discussed a variety of home-buying topics, including using an exclusive buyer agent, the Boston real estate market, the importance of a real estate lawyer, first-time home buyer and other mortgage programs, for sale by owner (FSBO) properties and attending open houses without buyer representation, with The Money Show host Rick Shaffer. Listen to more real estate talk. The following is the transcript of the interview on Boston Herald Radio between The Money Show host Rick Shaffer and Buyers Brokers Only, LLC co-owner and co-founder Rich Rosa on April 21, 2015. Recording: Because human genius has now destroyed the impediment of the terrestrial radio. Recording: This is Boston Herald Radio. It's The Money Show with Rick Shaffer and Susan Kaplan. Rick Shaffer: Welcome back. Hour number 2 of today's version of the best money show in radio. As promised, Rich Rosa, who is one of the founders of and a working member of Buyers Brokers Only LLC, has joined us and has been nice enough to come into the studio. Rich, thank you very much for joining us today. Rich Rosa: Thank you for having me. It's good to be here. Rick Shaffer: In the interest of full disclosure, I should mention, and if you've been listening to The Money Show you know this already, that Buyers Brokers Only LLC is an advertiser on Boston Herald Radio and on The Money Show, and we are very, very happy to have them as such. You're actually our lead advertiser, which we really appreciate, and because I have been in real estate for so long, it especially pleases me. First question, and we'll get into this in much more depth later, but before we get into the specifics about Buyers Brokers Only, just quickly give us an overview of your career and how you came to start Buyers Brokers LLC. Rich Rosa: Sure. Buyers Brokers Only LLC was started in November of 2005. I started it with a business partner, Dave Kres. A little bit about my background: I graduated from Northeastern University School of Journalism in 1991. I went on to law school at New England School of Law. I graduated from there in 1995. I practiced law for about 10 years. I still do a very little law at this point, but I practiced law for about 10 years, mostly trial work. Rick Shaffer: Okay. So you weren't in the real-estate field at all? Rich Rosa: A little bit. I did a little bit of real-estate law, but it wasn't ... My primary focus was trial work. Then, like I said, started Buyers Brokers Only about 10 years ago, and that's my full-time work now. Rick Shaffer: What gave you the idea to start the firm? Rich Rosa: It's sort of an interesting story. Dave Kres, my business partner, was my law clerk when he was in law school. When he got out of law school, I suggested to him that he might want to get his broker's license, that he was at that age where a lot of his friends might be thinking about buying a house, and he might be able to help them. He did that. It went well, and we started talking about starting a company where we just represented buyers. We felt that buyers didn't really necessarily get a fair shake. Real estate is sort of geared toward sellers, and everybody wants to represent the seller, in terms of real-estate agents anyway, and so that's sort of why we focus in that direction. An exclusive buyer agency isn't something we invented. It's been around for probably 20, 25 years. Quite frankly, I'm not sure we knew exactly what an exclusive buyer agency was when we started the company, but our thought process was that we wanted to level the playing field for buyers. Rick Shaffer: Explain what ... because I still think, as you say, when people think of a real-estate broker, they usually think of a seller's broker. As I've told you, I was sort of skeptical about buyer's brokers, not your company, but just buyer's brokers in general, but it has sort of evolved to the point where I think, as long as you get a good one and, say, if you're going to sell your home, you want to get a good broker, I think it's very important for buyers to do that. As you pointed out, buyers oftentimes don't get the type of direction that they need. Explain what a buyer's broker, especially an exclusive buyer's broker, like one would get if they went to Buyers Brokers Only, what that buyer's broker will do for you. Rich Rosa: Sure. I think whether you're selling a house or buying a house, it really comes down to who's got your best interests in mind, where do their loyalties lie, and who's going to have your back. In Massachusetts, a buyer agency is not uncommon. A lot of people use a buyer agent to buy a house, but there's two kinds of buyer agents. There's what's called a designated buyer agent, and then there's an exclusive buyer agent. A designated buyer agent is someone who will represent you. They'll have a fiduciary responsibility to the buyer, but they work for a traditional real-estate firm that also sells real estate, or I should say represents sellers. They may also represent sellers also. The difficulty that could arise in that situation is that the buyer agent that you're using may have property for sale. Other agents in his or her office may have property for sale, and if you're interested in those properties, that's where the conflict of interest arises. Especially if it's a property that they're listing, they become a dual agent. If it's a property someone else in the office is listing, you have that sort of conflict where you have an agent representing you, but everyone else in the company represents the seller. With an exclusive buyer agent, those conflicts don't arise because they work at a firm where they're only representing buyers. They're not selling property for sale. No one in their office is putting up property for sale, and so those conflicts don't arise. Rick Shaffer: My experience has always been, even when you have honest people, and some people are less than honest, but even when you have very honest people who are trying to avoid any conflict, there can be sort of an underlying ... If you're in a situation like that where you're sort of put in the middle, so to speak, then it can skew how things are done, even if you're trying very hard not to do it. But if, as you said, if you're in a situation where there is no conflict, where you are exclusively ... It could be in real estate or law or any situation, if you're exclusively representing one person, especially in something like real estate where the buyer and the seller really do have ... their interests aren't the same. For example, a lot of closing attorneys will represent both the buyer and the bank, but their interests are pretty much the same. You can't say that about most buyers and sellers. Rich Rosa: Oh, no, no. Rick Shaffer: Their interests are usually 180 degrees, and you really do need somebody to have your back, as you say. I've always told buyers to have a very good real-estate attorney, but a good real-estate attorney isn't going to have the time to do some of the things that a buyer's agent can do for you. Rich Rosa: Also, as you know, a real-estate attorney, for the most part, is getting involved at the time of the purchase and sale agreement. There's a lot that goes on before that: looking at the houses, evaluating the houses, making recommendations for mortgage brokers or loan officers, making recommendations for home inspectors, things like that. There's a lot of advice that goes into helping a buyer long before they get to the point of purchase and sale. Rick Shaffer: I have always told people that one of the most important things that a seller's agent can do for a seller is to price the property correctly. I would think that would transfer over to a buyer's agent in doing the same type of work, looking at comps and telling the prospective buyer what a property is worth and, therefore, what area of offer they should make so that they're not overpaying far more than the property's worth, but by the same token, are not giving an offer that's so low that the seller is just not even going to consider it. Rich Rosa: Yeah, that's a big part of what we do is to research sold properties, comparable sales, comps, as you call them. That's the sort of industry lingo. There's no one right way to do that. The way I do it is I like to look at properties that have sold in that price range, then look at properties that are in that town or that neighborhood, and then properties that have sold that have the same number of bedrooms, bathrooms, square footage, things like that, and then also just sort of look at trends in that community. Are the prices rising? Are they going down? What's the average? One piece of information that I could get for clients is to tell them what is the list-price-to-sale-price ratio. Believe it or not, in most communities in the Greater Boston area, it's probably 98% or higher for list price to sale price. Rick Shaffer: We're talking with Rich Rosa, who is a founder and a member of Buyers Brokers Only LLC. We do have to take a break. We'll come back. We've got lots more information for you, so don't go anywhere. You're listening to the best money show on radio on Boston Herald Radio. Recording: Boston Herald Radio news. We'll take you up to Lansdowne, out to Upton, and back to the waterfront. Now, The Money Show with Rick Shaffer and Susan Kaplan. Rick Shaffer: Welcome back. Our guest this hour is Rich Rosa, who is the founder, one of the founders of and a member of Buyers Brokers Only LLC. One of the questions that people have about buyer's brokers, because it's sort of evolved ... It used to be some buyer's brokers would charge you a fee, and some seller's brokers didn't want to deal with a buyer who had buyer's brokers. This was years ago. It's pretty much become totally accepted, certainly in Massachusetts, but how do buyer's brokers get paid? Rich Rosa: Sure. If someone wants to sell their house, they're going to hire a listing agent, and that listing agent, in Massachusetts, for the most part, is going to get 4 or 5% to sell that house. Occasionally, they'll get 6. Sometimes it will be less than 4, but for the most part, it's 4 or 5%. Rich Rosa: That agent then puts the house on the multiple listings service, the MLS, and offers what's called the cooperating commission. Most times, it's half of what they're getting, so it would be either 2% or 2.5% to the buyer agent who brings the buyer, so to speak, but it doesn't have to be half. The way I get paid is when I help someone purchase a home, I'm getting half of that commission or some proportion of that commission that the seller is paying to the listing agent to sell their home. Rick Shaffer: So the bottom line is, by using a buyer's agent, you're not ... People who worry that it's going to push up the price, they need not worry about that. Rich Rosa: It's not. I mean, not every buyer agent works the same way. There are some that require a minimum percentage, so if the cooperating commission is less than that, they would charge the buyers the difference. I have heard of some requiring a retainer up front, so if the buyer doesn't buy a house, they still get some sort of money. Then they would return the retainer if they bought a house. We don't do any of that. We take whatever is offered by the listing brokerage, so no, it doesn't cost the buyer any money. It's not going to jack up the price, and it's a myth to think that if you go on your own, that somehow the listing agent's going to give you a better deal, because they're not. They want to collect the whole commission themselves if there's no buyer agent, so basically, you're getting no representation and the listing agent's making more money to help the seller. Rick Shaffer: Actually, it works both ways. People think that if they don't use a buyer's agent, or if they're selling a home and they don't use a seller's agent, that by avoiding the commission, they're going to make more money. There's a couple of studies out which show that with the exception of if you sell it, like, to your relative, which isn't really an arm's-length deal, sellers make more money and buyers get better deals when they have an agent than when they don't have an agent, even when you factor in the brokerage fee. Rich Rosa: I'll tell you what I see a lot of times with the "For Sale by Owners" is they're not necessarily selling their house on their own because they're trying to save the commission. They're selling the house on their own because they've called up 2 or 3 agents. They've all told them the house is worth around 400, and they want to list it for 450, so they just go and do it on their own. What I typically find is a lot of the "For Sale by Owner" houses are overpriced. Rick Shaffer: Yes. The other thing is people become more savvy to this, so the potential buyer comes in, sees there's no broker, and they figure, well, I'll offer a lower price, and they'll make the argument, "You're not paying a commission." It really does screw everything up. You're really much better off using a broker. Let's switch gears for a second. All through the winter, I've been telling people it's a great time to sell your home because, at least in the Greater Boston real-estate market, there's been a gross under-supply of properties. Add to that the terrible winter. People either didn't want to or couldn't get out of their homes, so obviously, it probably wasn't the best winter on record for home sales. We're into the spring selling season, and the weather has obviously changed. What have you seen relative to the real-estate market? It always ticks up in the springtime, but what are you seeing happening? Rich Rosa: The real-estate market, in terms of inventory, is very tight, and it has been for 18 months, 2 years, really. What we are seeing is there are more properties coming on the market. However, there are also a lot of buyers that have sort of been waiting for that to happen, so there is a lot of competition for houses that are in good locations and are priced well. Rick Shaffer: So the supply has gone up, as we thought it would, but the demand has gone up because the people who were waiting are coming back in, plus the people who had looked during the winter but couldn't find anything are continuing to look, so there's just as much competition. Rich Rosa: Pretty much. Yes, I would say so. I think that the competition has maybe eased a little bit once you get outside of Route 128, because even a year ago, I had buyers looking as far away as Tyngsborough, which is almost an hour from Boston. They were outbid a couple of times before they found a house. I think that has tailed off a little bit when you get 45 minutes or farther from Boston, but certainly, inside Route 128, the competition is fierce. Rick Shaffer: But it still behooves ... Back to what we were talking about before, it behooves the seller to price a property right, but it also behooves the buyer to know what a fair price for a particular property is. Rich Rosa: Sure. I could talk about both those things. One thing is, from the seller's perspective, what I see is if they don't price the house right, if they really overprice it and it doesn't sell right away, buyers start asking the question, "Well, what's going on? Because everything else is selling in a week; why hasn't this house sold in three weeks or a month?" That really ends up hurting the seller. From the buyer's perspective, why it's so important to make sure you have an agent who's telling you what these properties are worth is because people get very emotional about this. They really like the house, and they know there's 2 or 3 other offers. Next thing you know, people are either offering full price or over asking price, and quite frankly, sometimes the houses just aren't worth what they're being listed for. Everyone assumes you've got to offer full price because that's the market, but if the house wasn't priced right to begin with, you're overpaying. Rick Shaffer: You've just touched on another reason to have a buyer's broker. I've always told people to get a good real-estate attorney because the real-estate attorney will keep their client, both the buyer and/or seller, from getting their emotions involved. When it comes to residential property, emotions always get involved, and when emotions get involved, people make mistakes. I'm sure that you do that, as well, and as you mentioned, you're doing it before the real-estate attorney would really get involved and keeping people from getting their emotions involved and making stupid mistakes basically. Rich Rosa: Yeah. I tell clients all the time, it's a business transaction. You want the best price. The seller wants the highest price. What's important is you do your homework beforehand so that you can make a good offer. Be prepared to negotiate if that's the case, and go from there and not let emotion get in the way of you getting what you need. Rick Shaffer: Talk a little ... Actually, we already talked about that. Let's talk about Buyers Brokers specifically. You said it was established in 2005. Rich Rosa: November, 2005, yes. Rick Shaffer: So you actually grew up, or the company grew up, during one of the toughest real-estate markets, certainly once we got to 2008, that we've ever seen. That's a kudos to you and the company to have grown and flourished over the last 7, 8 years because I don't think we've seen an easy real-estate market since 2008. Rich Rosa: Thank you. No, it has been ... 2009, 2010, 2011 were challenging. Rick Shaffer: How many buyer's brokers does Buyers Brokers LLC employ, and what geographic areas does the company as a whole cover? Rich Rosa: Sure. Dave and I probably started adding brokers about 6 or 7 years ago, and now we have about 25 brokers. We cover Greater Boston, up to southern New Hampshire, down to Plymouth County, right to the Rhode Island border, and out to central Mass. Rick Shaffer: Okay, so you cover a very ... You really cover the entire Greater Boston real-estate market. One of the things about Buyers Brokers that I like a lot is that all of the buyer brokers at Buyers Brokers Only LLC are attorneys. What made you decide to go that route? Tell us what the benefits of having a buyer broker also as an attorney is to your clients. Rich Rosa: Sure. Dave and I are both attorneys. Part of what we wanted to do when we established the company was, like I said, have someone in the corner for the buyers and to really try to provide a really professional service to home buyers. We decided that when we were growing that we were going to just add attorneys like ourselves. Now, we're not a law firm. We don't give legal advice to our homebuyer clients, but what I tell people is we have a level of knowledge that we've learned either through law school or through working as real-estate attorneys, and we don't forget that just because we're not acting as their attorney. If things come up that we think that they need to talk to their real-estate attorney about, then we certainly say, "Hey, you'll want to talk about this issue with the attorney." I also think it gives us the ability to have a really good relationship with the real-estate attorneys when it comes time to explain some of the things that we negotiated or that we want to make sure are in the purchase-and-sale agreement going forward. So having someone who's a lawyer who has the legal savvy ... because a lot of times, when a buyer is putting an offer in, you're oftentimes, especially in this market, in competition. Unfortunately, a lot of buyers don't have an attorney until the last minute, so having someone who has some of that acumen as their broker can help them put the right language into an offer sheet, which is very important. Rich Rosa: I think a lot of listing agents also appreciated that we're the type of people that dot the i's and cross the t's, so to speak. We've got everything in order when we make the offer, and it makes their life easier, too, which helps our clients, if we're presenting an offer that's complete, it has everything it needs to have in it, and there's no question marks. Especially if it's a multiple-offer situation and they're bringing all these offers to a seller, I think it helps when everything is done the proper way and everything is taken care of. Rick Shaffer: We have to take a break, but before we leave this part of what we're talking about, I just wanted you to comment on the fact that you urge people to get a real-estate attorney, to the point where I'm sure you refer people to them, but in addition, you give a refund. Rich Rosa: Yeah. We give a small commission rebate after closing, based on the price of the house. What we do is we tell clients that we're giving them that money so that it could offset the cost of their real-estate attorney. We think it's so important that everyone get a real-estate attorney. I'm not sure how much time we have, but we could talk a little bit more about why that's so important. Rick Shaffer: Sure, definitely. I talk about it all the time. You always want to get another take on it. Our guest this afternoon is Rich Rosa, who is founder and one of the members of Buyers Brokers Only LLC. We'll take a break. We'll come back with more right here on the best money show on radio on Boston Herald Radio. Rick Shaffer: Welcome back. Our guest this hour is Rich Rosa, who is founder of, or one of the founders of, and also a broker at Buyers Brokers Only LLC, which is the company which exclusively represents buyers as a buyer's agent when people are looking to buy a piece of property. I've mentioned this many times. I was a skeptic for years, and then I sort of came around to it. I don't say this just because you're an advertiser here. I've been very impressed by the things that you do. Rick Shaffer: Basically, as you say, you have the buyer's back, and I've always told people that's what they need. As you pointed out, you are in the fray before they get to a real-estate attorney. I have always told people, "You've got to get a good real-estate attorney, but the real-estate attorney is not going to help you go look for the property. It's just too early in the procedure." In fact, a lot of times people will come to me as a real-estate attorney, and I will give them advice on getting an inspector and getting a mortgage broker, but by that point, sometimes it's too late because they've already made some of their relationships. Talk about how you can help people find the type of mortgage they're looking for, and also talk about the extreme need for buyers to have a pre-approval letter before going to look for a property these days. Rich Rosa: There's a lot of mortgage programs, and I know when I meet with clients and I have an initial consultation with them, I spend a lot of time talking about financing and mortgage programs. The reason is is because there are many different programs, but not every lender does every type of program. It's good to have a discussion with a buyer about their particular situation so you could explain to them, "Well, this program might work for you, or that program might work for you," and then have them speak with a lender that actually does one of those programs. Not every program is a good fit for every buyer, and there's different ways to structure loans that are beneficial to some buyers and not to others. Some people have a really good salary, but they haven't saved a lot of money. Some people maybe have a lot of money saved, but they don't have a really big salary, and those 2 people right there probably would benefit from a different type of loan. Rick Shaffer: When we were talking off air, you were talking about MassHousing, which I've always been a big, big fan of. Tom Gleason, who's the head of MassHousing has been a frequent guest here on The Money Show. 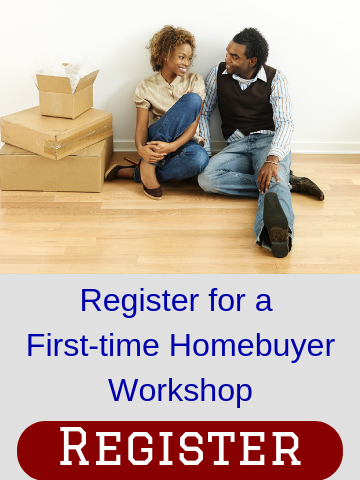 Explain how that is an extremely beneficial program for many first-time home buyers. Rich Rosa: MassHousing is a great program. There's some misconceptions. I think one misconception is people think it's only for low income. In fact, I believe the income cap right now is up to $123,000, and that's for the borrower. One thing to be aware of is some homebuyer programs have an income cap that is household. MassHousing doesn't look at your household. They look at the borrower, so in some situations, maybe one spouse is making 110 and the other spouse is making 30, let's say. Together they wouldn't qualify, but the 110 spouse could apply for the mortgage him or herself with MassHousing and get that loan. They have quite a few different programs that are very helpful. They have a No-MI program, which is a no-mortgage-insurance program. It's a slightly higher interest rate, but you don't pay mortgage insurance. Mortgage insurance is something that buyers have to pay if they're putting down less than 20% when they purchase a home. The higher interest rate, maybe it results in their monthly mortgage payment being $50, $75, or $100 more a month. However, eliminating the PMI, it's also called private mortgage insurance, PMI, could save them $250, $300 a month, so there's a net benefit by doing it that way. This is where it's really important to have a savvy mortgage professional helping you because a good one will tell you where the break-even point is, because there's always a point where you'd be better off paying the PMI or not paying the PMI. Usually, it's somewhere around 8 to 10 years, so if you think you're going to be in a house, say, less than 9 years, you're probably better off with the No-MI program. If you're pretty confident that you're going to be there 15 or 20 years, you're probably better off with the lower interest rate and paying the PMI. These are the things that buyers need to be aware of. Rick Shaffer: One of the things I found is some mortgage ... You talk to a mortgage broker about it, and some of them aren't really savvy to this, or if they are, they really can't run the numbers well, whereas I'm sure you can sit down and show people basically it's a relatively simple formula. If somebody sees somebody running the numbers and say, "This is how we got to the break-even point," they can understand that. Rich Rosa: Sure. That's typically something the mortgage professional would do for them. Some of the good ones even have software programs, so they just plug in numbers, and it shoots out a spreadsheet that shows you where that break-even point is. Also, though, with MassHousing, if you do pay mortgage insurance, they have something called an MI Plus Program, where if you lose your job while you have a MassHousing mortgage, they'll pay your mortgage for up to 6 months, which is a great benefit. It doesn't cost anything extra. Rick Shaffer: MassHousing has come up with just a whole bunch of programs which I love. I don't understand why more lenders aren't doing it, but unfortunately, a lot of lenders, their hands are tied by the secondary mortgage market, and sometimes it's just they don't think outside the boxes. Rich Rosa: Homebuyers should be aware, too, that they could put down as little as 3% with a MassHousing mortgage, about 5% if it's a multi-family. Rick Shaffer: Talk about FHA loans, because a lot of people think that FHA loans are the way to go. What's your opinion of FHA loans? Rich Rosa: FHA loans should be their last option. Rick Shaffer: Why do you think that? Rich Rosa: Because they're very expensive. If it's the only loan that you qualify for, then it's the only loan that you qualify for, and that's okay. Again, this is another reason why I like to talk to people about their circumstances because sometimes they'll go to a mortgage broker and that person will say, "Oh, yeah, yeah. You could do FHA, and you'll be all set." Here's the problem with FHA. First, there's what they call upfront PMI or upfront MI. Besides paying the monthly mortgage-insurance payment, they have an upfront payment, which is 1.75% of the loan. If you have a $300,000 loan, you're paying over $5,000 in extra costs right up front at closing. Now they'll roll it into the loan, so you won't have to come up with the cash, but it's still an added cost. I try to explain to people it's not just what you're paying every month, but what's your total cost of borrowing. That's one part of FHA that makes it very expensive. As of June, I believe June, 2000 and maybe 12 or maybe ... Yeah, I think it's June, 2012, PMI does not go away when you reach 20% equity in your home. Rick Shaffer: So you're basically stuck with it. Rich Rosa: You're stuck with it forever. Now, here's what a lot of mortgage people will say to homebuyers. "Well, don't worry about it because you'll just refinance out of the FHA loan in a few years, and you won't have to worry about the PMI," but here's the problem. Rates are at 3-1/2, 3-3/4. Three years from now, when you try to get out of that FHA loan, they might be at 5 or 5-1/2, so you didn't have any net savings. Rick Shaffer: Or you just may not ... That was one of the problems that brokers were telling people, which was part of the problem of why we got into the recession and why the bubble burst in the real-estate market to begin with. We have to take a break, but give us a few mortgage mistakes that people should avoid, or that people tend to make and hopefully avoid. Rich Rosa: I think a lot of people ask me about shopping around. I think shopping around is not a bad idea, but what you have to understand is mortgage rates change every day, so what I always tell people, "If you're going to shop around, don't call somebody on Monday, somebody else on Tuesday, somebody else on Wednesday, because you're very likely to get 3 different rates. What you ought to do is you ought to call everybody on Monday or everybody on Tuesday, and that will give you a more accurate picture of what their rates are. Then also you have to compare not just rates, but closing costs, as well." Rick Shaffer: Exactly, and a lot of people aren't. Generally, I tell people, and a lot of people don't do it, but I tell them, "If you get a good rate and term and you like the mortgage broker, then lock it in, or at least say, 'I'm going to go with you.'" Rich Rosa: That's the other thing, too. When they go for a pre-approval or a pre-qualification, they ask about rates, but what I explain to people is they're only going to lock you in for maybe 30, 45 days. If you're at the beginning of the process, I tell people not to get too worried about what interest rate you're being told now because 2 months from now or 3 months from now or 4 months from now, when you find the house that you're going to purchase, the rates are going to probably have changed anyway. Rick Shaffer: We're talking with Rich Rosa, who is one of the founders of and a member of Buyers Brokers Only LLC, which is a buyer's brokers agency which exclusively represents people who are going to buy a home. We'll take a break. We'll come back and finish up our interview with Rich Rosa right here on the best money show on radio on Boston Herald Radio. Recording: Boston Herald, bostonherald.com. Boston Herald Radio. Rick Shaffer: Welcome back. Our guest this afternoon is Rich Rosa, who is a founder of and a member of Buyers Brokers Only LLC. We're going to go back to our interview in a second, but let me remind you, as always, that the wise consumers are the informed consumers, so before buying, selling, renting, refinancing, or signing any real-estate-related agreement, or before making any major money decision whatsoever, it's always best to speak with and take the advice of a qualified attorney, accountant, and/or if you can find a good one or a great one, such as my co-host Susan Kaplan, a financial planner. Let me also remind you that if you're not yet a follower of Susan's and mine on Twitter, you really should be. My Twitter address is @RShaffer1, S-H-A-F-F-E-R1 and Susan's is @SKaplan111. So it's @RShaffer1 and @SKaplan111 K-A-P-L-A-N111. Since we're pushed for time, I won't tell you why. Just you'll have to trust me on that. Rich, people who are looking to purchase a new construction, which is one of my not pet peeves, but I can't stress how careful people have to be. Talk about that in general, the pricing, and also the need for inspection, which a lot of people think you don't need with new construction, but you really do. Rich Rosa: The first thing people should know about new construction is there's not a lot of it in Massachusetts because there's not a lot of land, so they should be prepared to pay a premium for it. The other thing that's important to know about new construction is how to negotiate it. Typically, a builder, if they're building, let's say, a subdivision of 12 houses, and let's say you're one of the first 6, 8, 10 houses that is being bought, they're not going to want to negotiate too much on price because once they've dropped the price for one person, that becomes the ceiling for the next person. What you really want to try to do is negotiate on upgrades because no one's going to know that the builder gave you hardwood flooring on the second floor or extra-special granite countertops or a higher allowance for appliances or for lighting. Those are the things that you're more likely to be able to negotiate. The other thing that's important to know is what the builder planned to do before you start to negotiate. What I'm talking about is, for instance, what exactly were the finishes going to be? What kind of heating system was he going to put in? What kind of cabinets, countertops? What was the allowance for lighting and appliances? Because if you don't know those things and then you go in and say, "Well, I'd like hardwood on the second floor, and I'd like a larger deck and things like that," the builder may say sure, and you think you're getting a deal, but you never asked what he was going to do. So now the high-end Burnham or Weil-McClain heating system just became a lesser-known brand, and maybe the granite countertops that he was going to pay $60 a linear square foot for is now going to be $40. It's important to know what the builder was going to do prior to you starting to negotiate. Rick Shaffer: All right, I've got 2 more questions for you. We've got about a minute for each question. Rick Shaffer: The first one is why should homebuyers start their home search going to open houses, and why should they not do it on their own, but bring their buyer's agent with them? Rich Rosa: You have to remember that the agents at the open house represent the seller. Their obligation is to do what's best for the seller to make the most money for the seller. What happens often is buyers will show up at open houses, and they say, "Well, I'm just browsing. I'm not really serious," but then they find something they like, and they start telling the listing agent or any agent at that open house things that they probably shouldn't be telling them about themselves. That could hurt them when it comes time to negotiate. Rick Shaffer: I've been in situations where I have found out from my broker that this person is really hot to trot, to buy the property. Knowing that, and it's not illegal that they know it, they spilled the beans, so to speak, I've been taking a harder line on what my bottom line would be had I not known that. So it's very important that people know that. Another question I wanted to ask you is ... Actually, we'll have to end up with this question, but in 200 words or less, why should somebody, if they're going to get a buyer's broker, and I hope we've convinced people that if they're going to buy a home, they should get a buyer's broker, why should they go to Buyers Brokers Only LLC? Rich Rosa: I think like you've said many times on this show, people should do some research. I also think people should talk to more than 1 broker and see who's a good fit. I hope that people will consider Buyers Brokers Only. We only represent buyers. We're 100% loyal to buyers. Every one of us at the company is a lawyer. We take a lot of pride in our professionalism and the fact that we really have the backs of the buyers. That's why I think they should consider giving us a call. Rick Shaffer: Towards that end, actually 1 more question. How do people get in touch with you either by phone or over the internet? Rich Rosa: Sure. They could reach us online at buyersbrokersonly.com. That's buyersbrokersonly.com. They could call 978-835-5906. That's the main number, but if they go to the website, they could find a list of all of our brokers and where they work from, and they could also find us on Facebook. Rick Shaffer: Just give us the phone number 1 more time. Rick Shaffer: Rich, always a pleasure. As always, I will tell people that if you're going to buy a home, I think you should get a buyer's broker, and I think you definitely should consider highly Buyers Brokers Only LLC because I've been very, very impressed. The more I talk to you and see how your business runs, the more impressed I am. Rick Shaffer: Good luck, and we'll talk to you again. Also, I forgot to thank our producer. Christian Burgoyne did a great job as always. I'm Rick Shaffer. I'll be back tomorrow at 4:00 with another edition of the best money show on radio right here on Boston Herald Radio. The Money Show is sponsored in part by Buyers Brokers Only LLC and Dream Smile Dental.